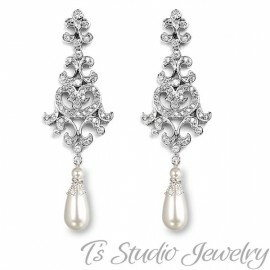 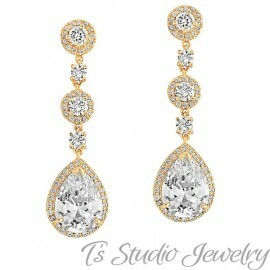 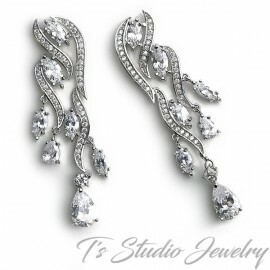 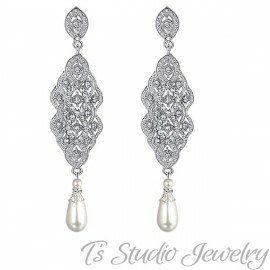 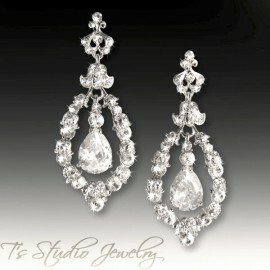 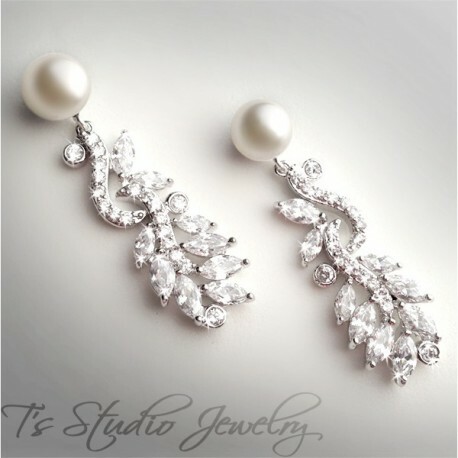 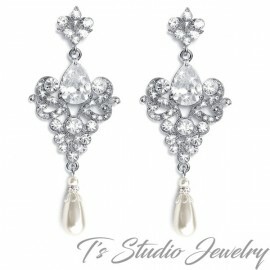 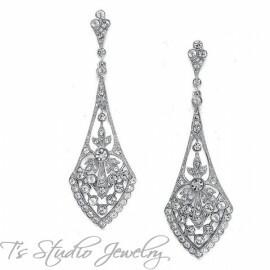 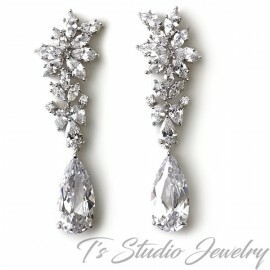 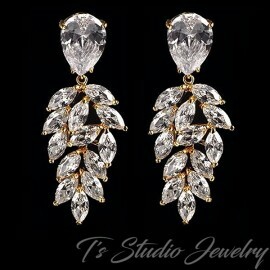 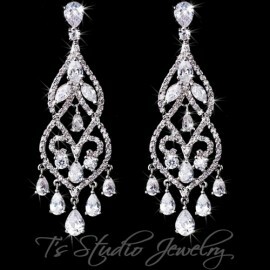 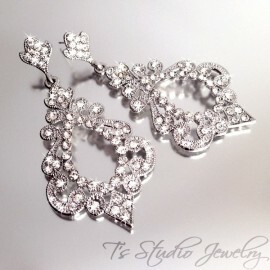 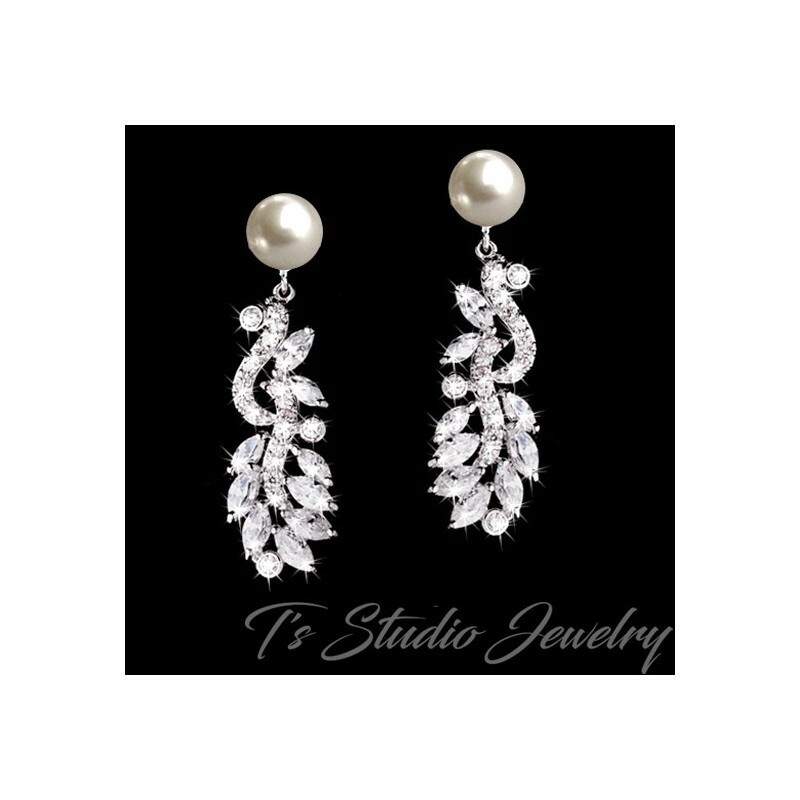 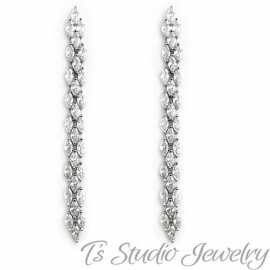 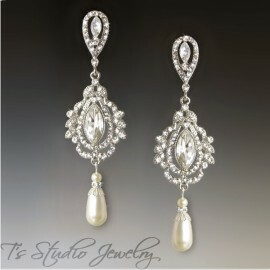 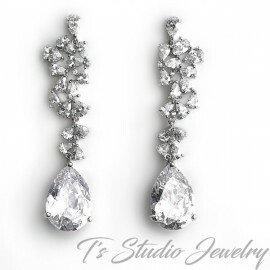 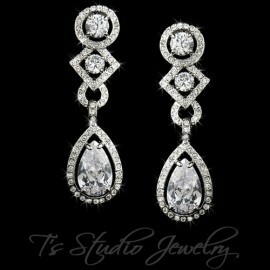 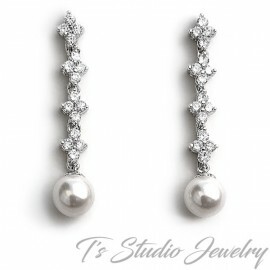 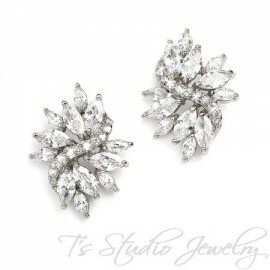 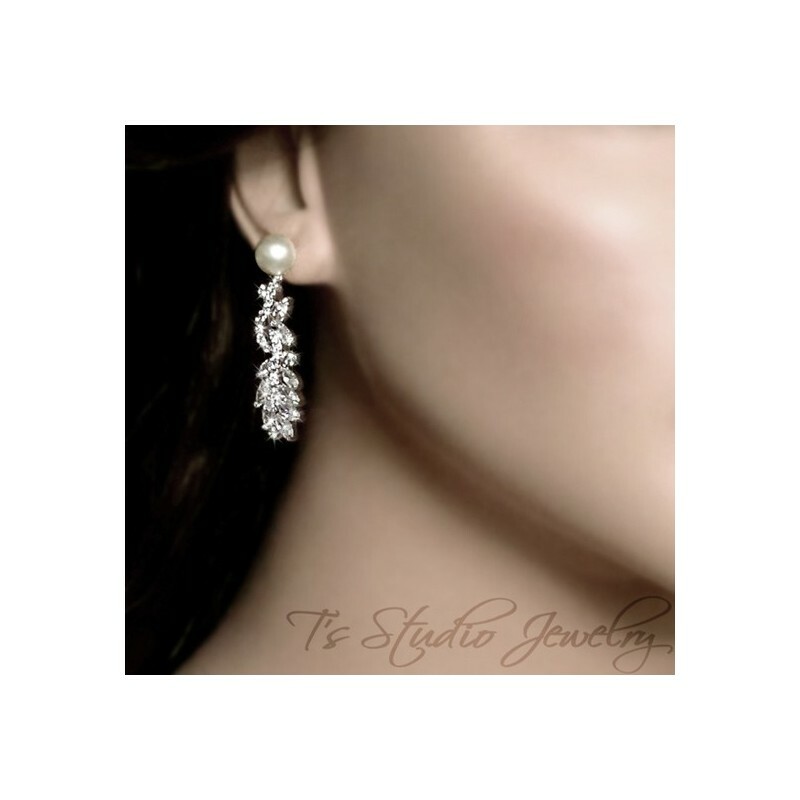 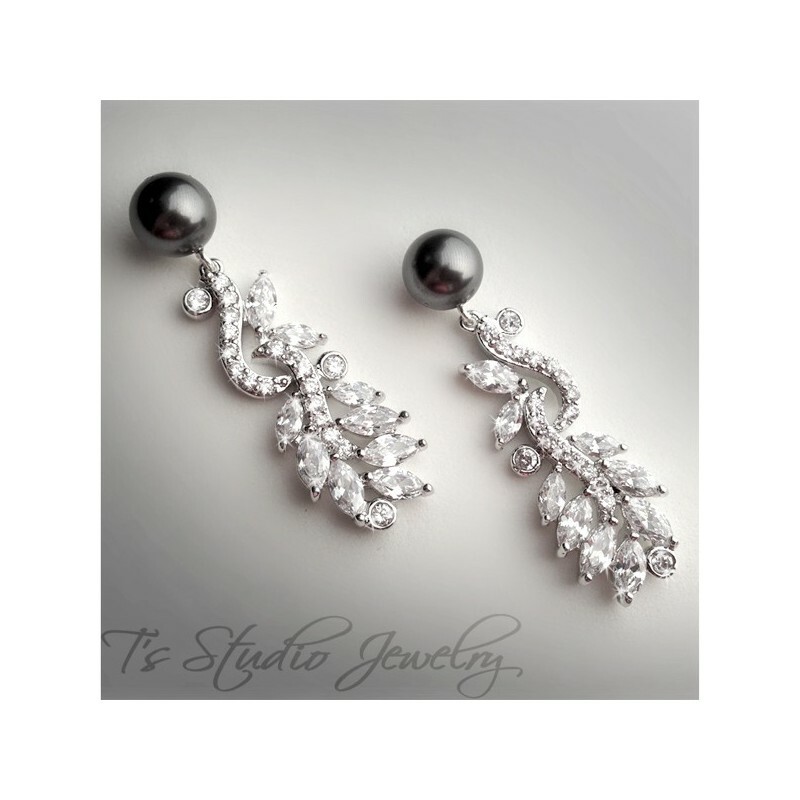 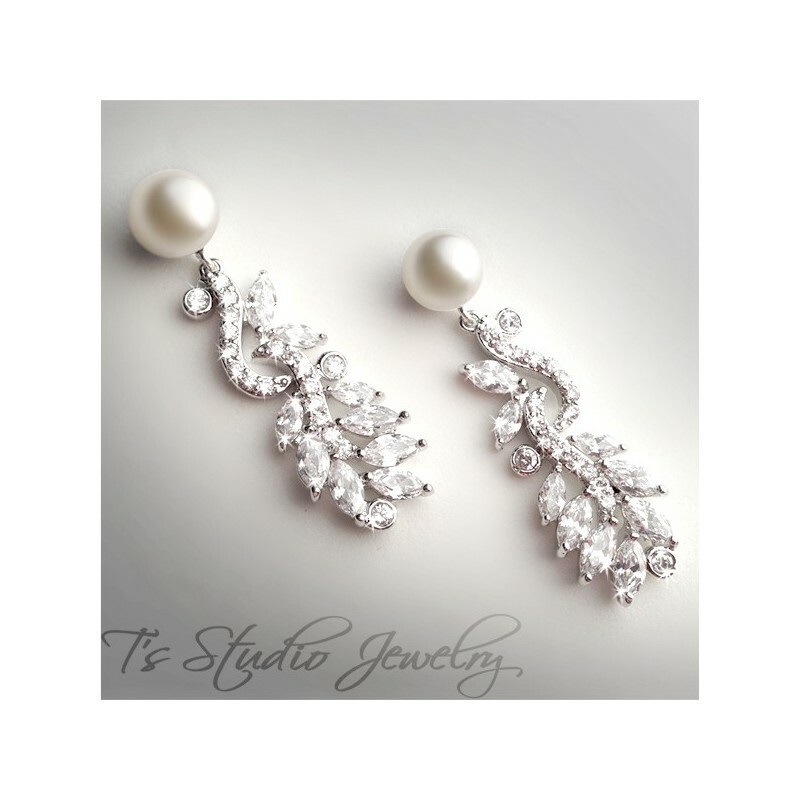 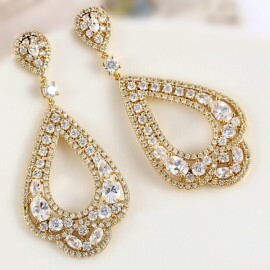 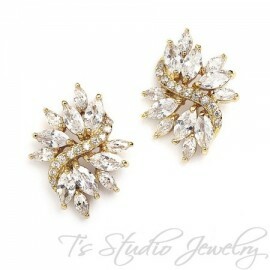 These earrings are the perfect combination of Cubic Zirconia crystals and pearls. Leafy cubic zirconia petals dangle from an 8mm round pearl stud. 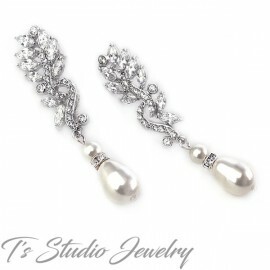 Be sure to check out the matching bracelet! 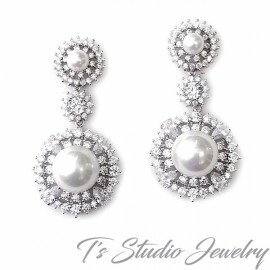 Please contact us if you would like a pearl color other than ivory or white.